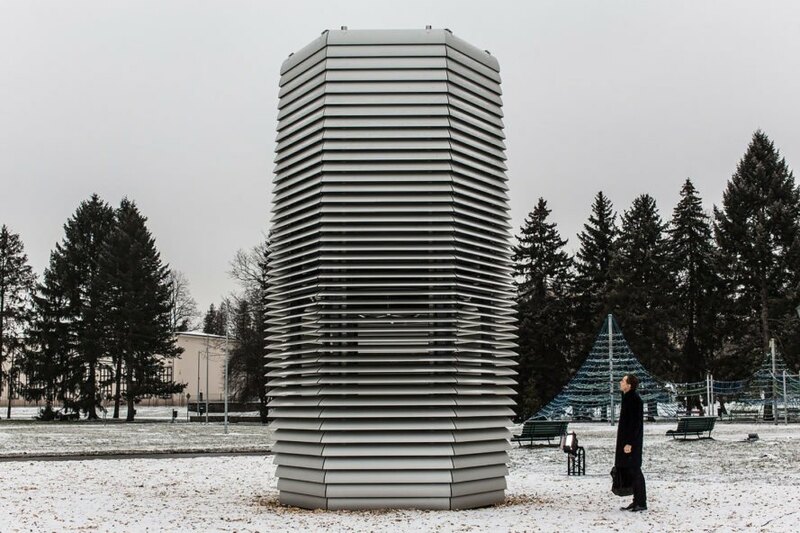 Studio Roosegaarde‘s Smog Free Project continues to create bubbles of clean air throughout the world – the team recently opened a Smog Free Tower in Park Jordana in Kraków, Poland. But Daan Roosegaarde isn’t through innovating new ideas to clean our skies. In an exclusive interview with Inhabitat, Roosegaarde shared the first art impressions for Smog Free Drones, which could create personal pockets of fresh air. 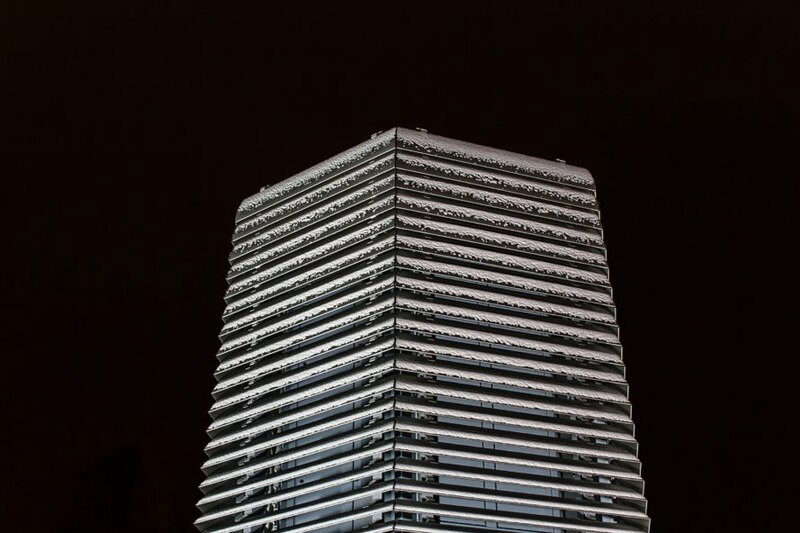 Overall, the tower’s design is the same as the ones in China and the Netherlands, but Studio Roosegaarde made a few minor alterations in terms of production, and can also monitor the tower online. 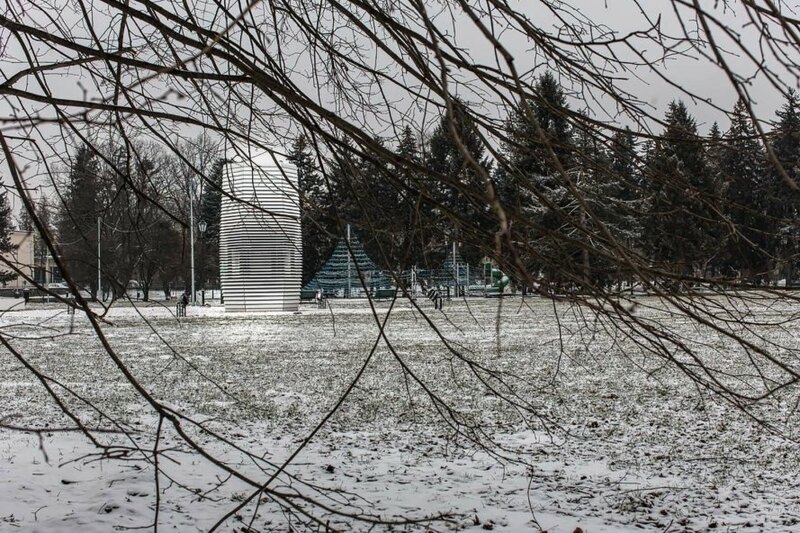 It’s in a public park, so anyone can freely access the clean air. 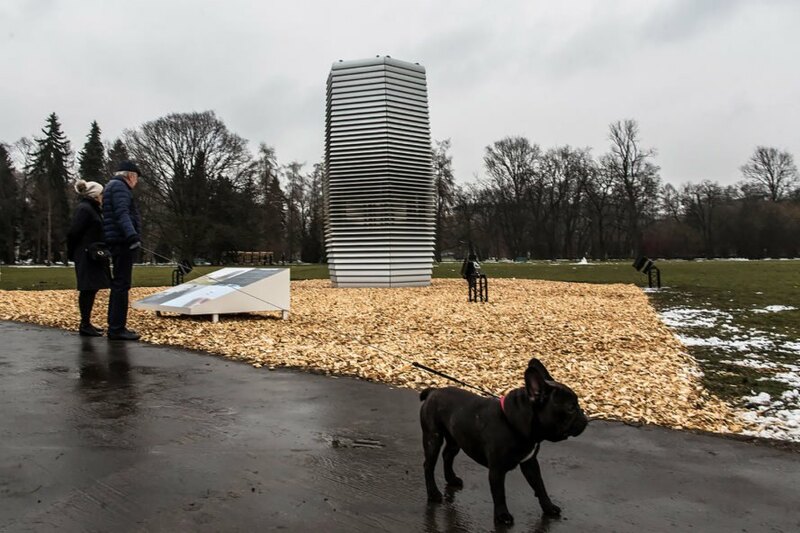 “We’ve calculated that we can make the park between 20 and 70 percent more clean than the rest of the city in terms of clean air,” Roosegaarde said, adding that the Smog Free Tower in Kraków might become a permanent urban fixture. 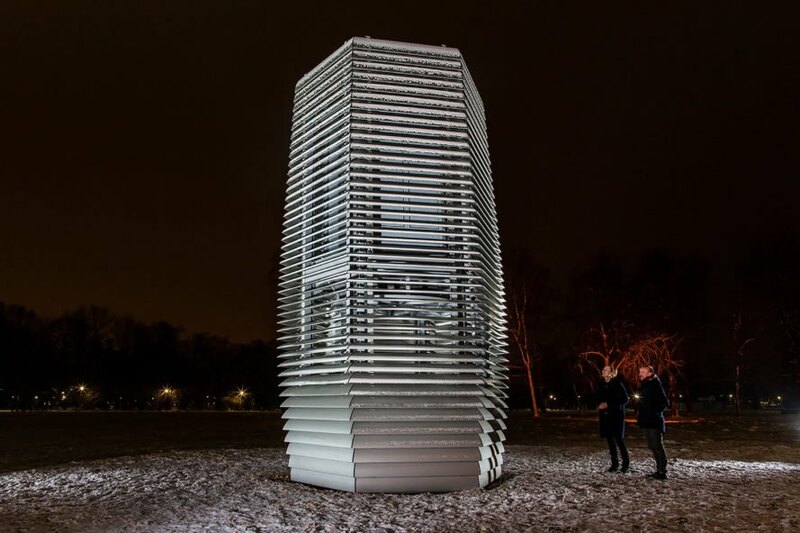 Stay tuned for more smog vacuum cleaners popping up around the planet — Roosegaarde said they will be launching the Smog Free Project in Mexico, Colombia, and India in upcoming months. And will it be an Inhabitat reader who helps bring the vision for Smog Free Drones to life? We’ll be excited to find out! Dutch designer Daan Roosegaarde shared his vision for Smog Free Drones. Roosegaarde also shared stories from the latest Smog Free Tower that recently went up in Krakow, Poland. 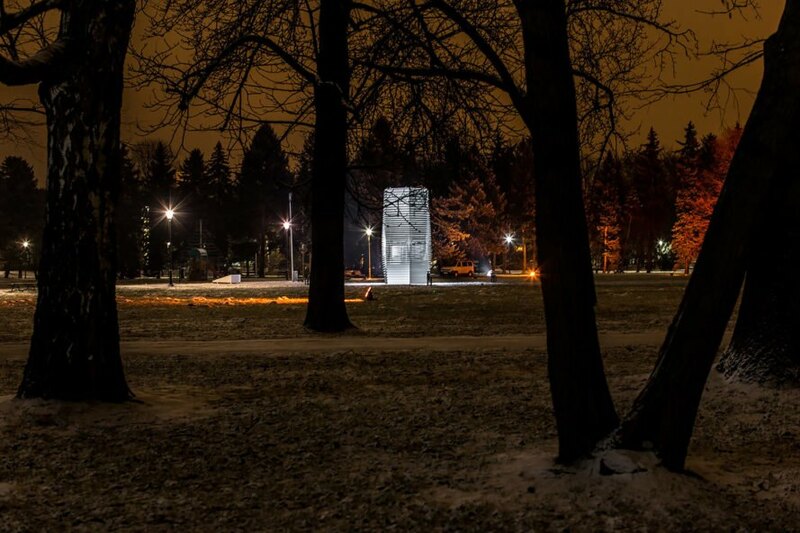 The Smog Free Tower in Poland is located in Park Jordana. Roosegaarde told Inhabitat, "We've calculated that we can make the park between 20 and 70 percent more clean than the rest of the city in terms of clean air." The park is public and access to the tower is free. Studio Roosegaarde can monitor the tower online. 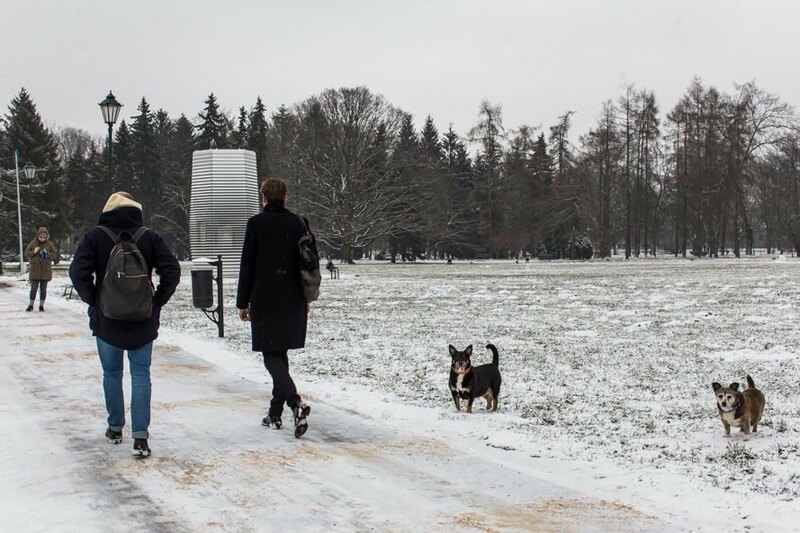 Meet the little dogs whom Roosegaarde noticed hanging around the Smog Free Tower. 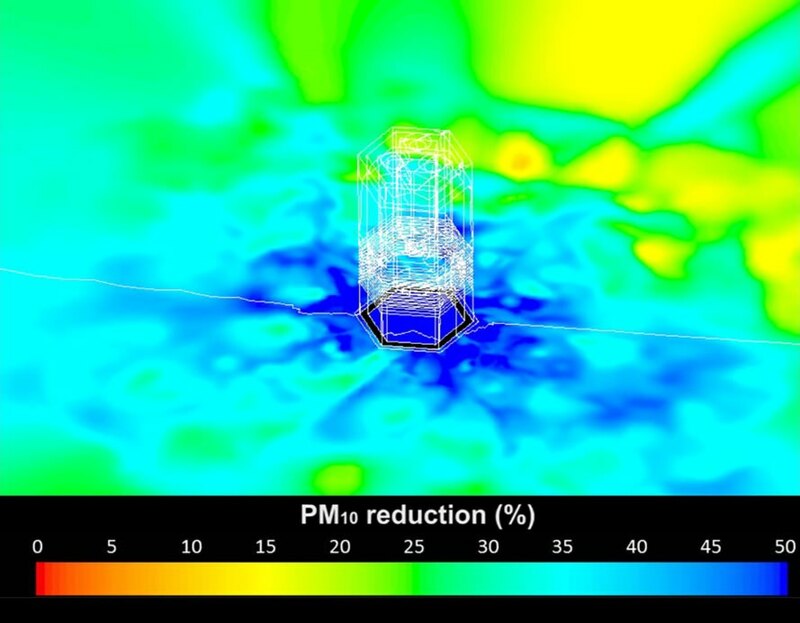 This image is from a scientific study on the tower showing the reduction of PM 10 particles. 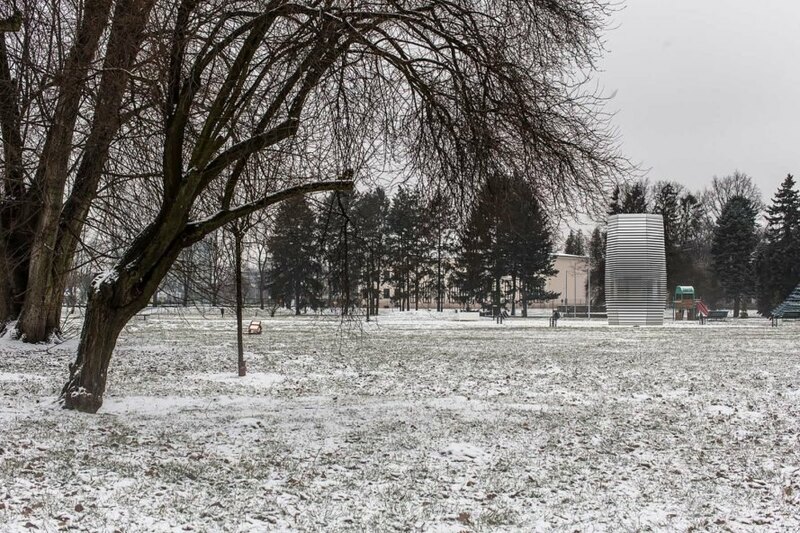 Studio Roosegaarde's Smog Free Project continues to create bubbles of clean air throughout the world, recently opening a Smog Free Tower in Park Jordana in Kraków, Poland. But designer and Studio Roosegaarde founder Daan Roosegaarde isn't through innovating new ideas to clean our skies. In an exclusive interview with Inhabitat, Roosegaarde shared the first art impressions of Smog Free Drones that could create personalized pockets of fresh air.